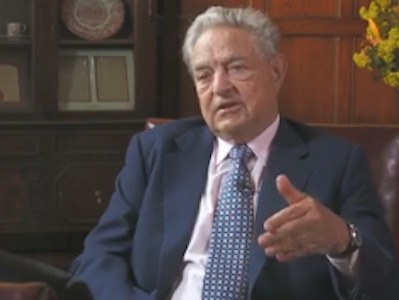 George Soros’s Quantum Endowment Fund last year turned in its worst performance in nine years. The nearly $28 billion fund gained a measly 2.63 per cent, its skimpiest gain since it lost 1.72 per cent in 2002. In recent interviews with Bloomberg and CNBC, the 80 year-old Hungarian has gone out of his way to distance himself from last year’s results, stressing he is now retired. For the past three years, BlackRock co-founder Keith Anderson has served as chief investment officer. It is not clear what bets contributed to Quantum’s small gain last year. However, it is possible his portfolio’s exposure reflected Soros’ seeming scepticism of the market’s rally and an accompanying economic recovery. In June, he predicted a European recession for 2011 stemming from the Eurozone crisis, which still has not abated. Additionally, his largest equity position all year was in an exchange traded fund that tracks the performance of the price of gold bullion. What’s more, at the end of the third quarter, two other gold companies were among his four largest holdings: Kimross Gold and Allied Nevada Gold. He started 2010 with about $8.8 billion in U.S. equities and equivalent investments, and slashed that amount to $5.1 billion by the end of the second quarter. However, by the end of September, he had built back that stash to $6.7 billion, according to regulatory filings. Fourth quarter equity holdings won’t be known for another two weeks. However, since the beginning of October, Soros has stated in regulatory filings he has boosted holdings above 5 per cent in five stocks: Verigy, Interoil, Platinum Group, The Female Health Corp. and Plains Exploration and Production. At the end of the third quarter, non-gold related shares among his top-five holdings included Massey Energy and Yahoo. Soros, whose family escaped from the Nazis, has been a very generous giver to human rights and democratic causes. Last year, he said he will donate $100 million to Human Rights Watch. This post originally appeared at Institutional Investor.